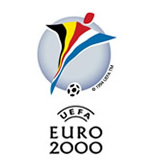 Now just a distant memory, its easy to forget how we nearly didn’t qualify for Euro 2000 at all, just edging out Poland in Group 5 to reach a playoff against the Scots. Upon finally reaching the final tournament stage in Belgium and the Netherlands, it seemed the country (and perhaps the team) had only one game in mind—Germany. Worse was to follow that October. The famous Twin Towers of the old Wembley looked down upon one more game between England and Germany—with all to play for in qualifying for the World Cup in 2002. Against practically the same team we beat in Charleroi, we lost. Not only the match, but our manager too. Keegan finally got the picture, and was soon to be replaced by England’s first foreign coach—Sven-Göran Eriksson. You will need no reminding of the away leg against Germany under his stewardship. While we discuss his faults in these months that follow our exit from Portugal, it may be helpful to remember, just how far we’ve actually come.